San Antonio Top Limo offers the best wine tasting limo experience in San Antonio. Grab some friends and give us a call to set up a wine tour limousine today. We will drive you all around the breathtaking Texas hill country to some of the best vineyards in Texas. Pick a limo from our amazing fleet of sleek and luxurious vehicles that suites you, and hit the roads to enjoy some of the best wine Texas has to offer. 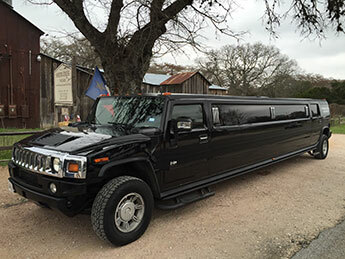 Anywhere from places like Austin and Fredericksburg, we can get you around in style and comfort for all the wine tasting your taste buds desire. Get all the friends you want to take along with you. Pick a limousine that can seat all your passengers and get ready to head out into the hill country. Choose from one of our classic stretched sedans, SUV limos, or Hummer limos. With many different passenger options, we have the limo for you. With flat screen TV’s, wet bars, plush leather seats and LED lighting, you will feel like first class as soon as you see the limo pull up to your home. Get ready to experience wine tasting like never before with our limousine service. Texas has so many wineries, it’s hard to choose certain ones to go to. We know some of the best locations and will make sure you get to the winery you want to go to. With over 40 wineries all around the hill country, the options are plenty. Take your pick and we can get you there in comfort and style. And if you’re wanting to hit the roads on Texas Wine Trail in April to see the flowers blooming and the wineries busting out with flavor. Take a trip to some of the best wineries out there, and give your opinion on the wines they have to offer. Our professional chauffeurs are ready to give you the VIP experience while you take a ride to taste some of the best wine in Texas. Don’t worry about driving, we’ve got that part covered. Sit back and relax in our amazing limousines and listen to some tunes on our superior surround sound speaker systems. Head all around the hill country. We guarantee you’ll want to do it again once you’re done. And if you decide that that wineries wine is something worth taking home, we’ve got room for any wines you want to take back home to store away for later. Enjoy a fantastic wine tasting tour in Texas with San Antonio Top Limo. Our drivers are ready to take you all around the hill country to enjoy some great wine. Grab your friends and tell them to get ready to relax and taste some wine. Our limos are great for any wine tasting tour you want to take. Give us a call and we can provide you with a VIP tour of the Texas hill country and some of the best wineries out there.